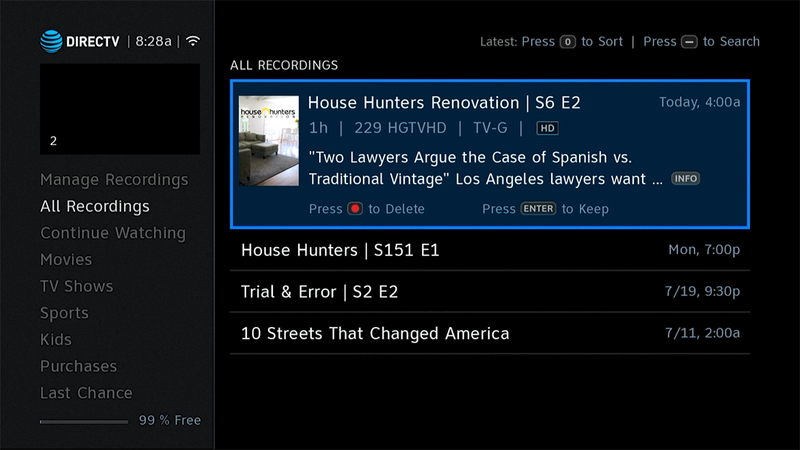 There’s a neat feature on all DIRECTV DVRs that lets you record a series quickly and easily. You’ve probably heard about it. All you have to do is press the record button twice on a program in the guide, and that’s it. The trick is making sure that the recording is set your way. You need to make sure that everything works the way you want. Luckily, this handy guide will help. The feature you’re looking for is called “Record Defaults.” Here’s a step by step guide for finding it. Arrow down to Recordings. Press SELECT. Arrow down to Record Defaults. Press SELECT. Set it the way you want then press EXIT to go back to live TV. The menus are a little different for Genie but it’s really the same idea. Arrow up to Manage Recordings and press SELECT. Arrow to Typical Recording Preferences and press SELECT. You’ll see once you get there that the basic options are the same. Set them the way you want then press EXIT to go back to live TV. You can manually add time before and after a recurring recording but I wouldn’t. 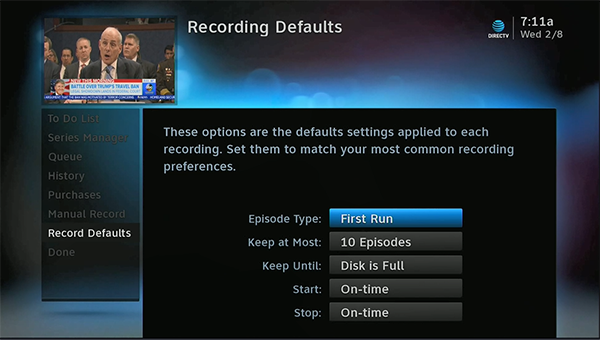 If your DVR has enough open tuners, it will automatically record 30 seconds before and 90 seconds after each recording. This is enough to cover most minor clock problems. If you start watching a recording and you realize you’ve missed the first line or two, try rewinding and you’ll probably find that you can rewind before the beginning of the recording and catch it. Is it true that satellite has worse picture quality than cable?